• When you Top-up Your Balance, you are purchasing an Amazon Gift Card in the selected amount that will be automatically added to your Gift Card Balance. • Amazon Gift Cards are redeemable on all products on Amazon. • Add the Gift Card balance in Amazon account. This balance gets automatically applied at the time of next purchase. • Balance would remain in the Gift Card till the validity period and can be reused for multiple transactions. 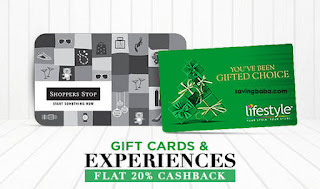 • There is no cap on number of Gift Cards that can be added to an account. • Amazon Gift Cards are valid for 12 months from the date of purchase. 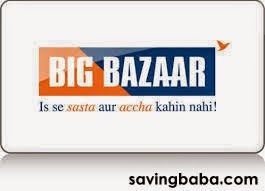 • The offer is applicable on purchase of any product on Amazon. • The Purchase needs to be made entirely with Amazon Gift Card Balance. • Shop worth Rs. 500 or more and get Rs. 50 off. Shop worth Rs. 1000 or more and get Rs. 100 off. • The offer is limited to only one purchase per customer during the offer. • You will receive the additional amount 30 days post your purchase. 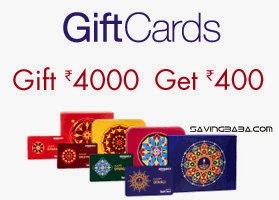 Get 10% off on FlipKart Gift Card using State Bank Debit & Credit Cards. 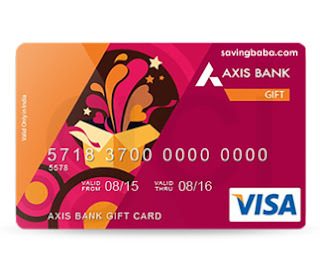 • Axis Bank Gift Card works in the same way as a Debit Card for purchase transactions at merchant outlets including hotels, restaurants, shops, etc. • Axis Bank Gift Card can be used for online purchases of products and services. Use Promo Code from product page. 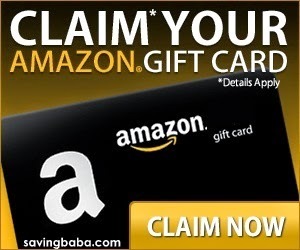 • Get an Amazon.in Gift Card worth Rs. 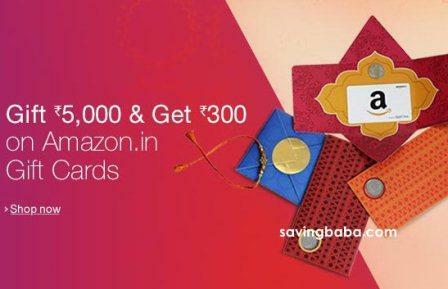 300 on purchase of Amazon.in Gift Cards worth Rs. 5000 and above. • The Offer is only valid from 24th August to 30th August 2015 (both days inclusive). 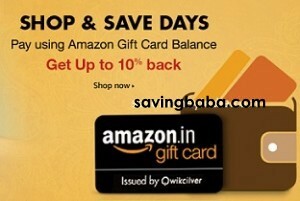 • The offer is valid on all formats of Amazon.in Gift Cards like email, greeting card and gift box. • You will get the promotional gift card within 30 days from the end of the promotion i.e. by 30th September, 2015. 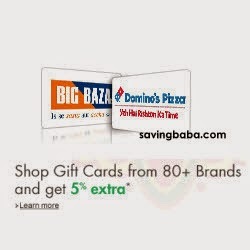 Amazon offering Gift Cards of select brands extra 5% cashback upto Rs. 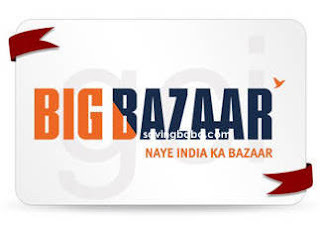 1000 (excluding Amazon.in Gift Cards, Axis Bank Gift Cards, Giftbig Gift Cards) in form of Amazon.in Gift card. Promotional Gift Card will be issued by Qwikcilver within 30 days from the Offer closure date i.e. 7th June 2015. The credits will be passed within 30 days from the end of the Offer which is 7th June 2015. 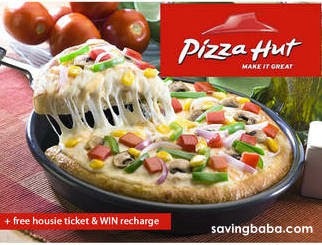 Get pizza hut gift card worth Rs 500 + Free Housie Ticket. Validity of Card : 30th April 2015. • Buy the voucher worth Rs. 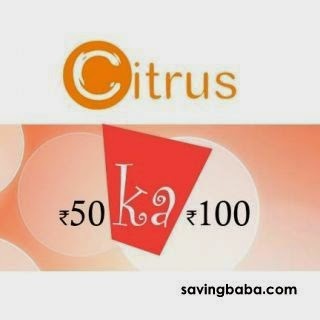 50 by paying through Citrus Cash and get Rs. 100 Cashback in your Citrus Wallet. • The amount will be credited to the Wallet within 24 hours. • Citrus Cash is accepted at over 2000 merchants including ShopClues and other popular recharge, movies and taxi services. • This voucher can be used in all Big Bazaar/Food Bazaar and Fashion@Big Bazaar stores across India. • This voucher is valid for 1 year from date of issue. • This voucher has to be redeemed in full and partial redemption is not allowed. Gift Cards are redeemable across all products. Valid for 12 months. Starting Rs. 3000 to Rs. 10000. 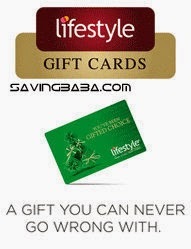 Get a Lifestyle Special E-Voucher worth Rs.600 for just Rs.299. 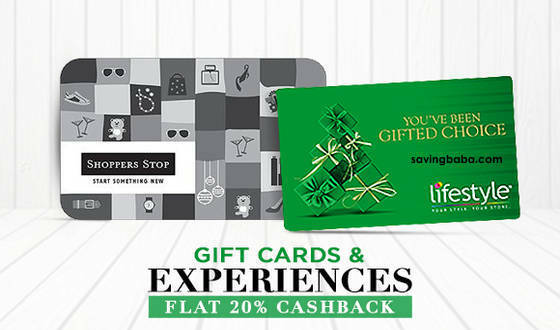 Lifestyle Special E-Voucher are sure to make your gifting experience enjoyable and leave your recipients spoilt for choice. 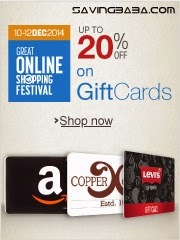 Rediff Shopping is offering 20% off on Purchase of Rs. 1500 on Gift Vouchers. • Gift Cards are redeemable across all products. 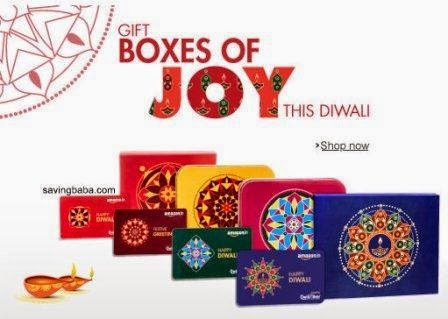 • On purchase of Amazon Physical Gift Cards (In a Greeting Card or Gift Box) amounting to Rs. 4000 and above during 15th October 2014 to 20th October 2014 (both days inclusive), will entitle the purchaser to receive a Promotional Gift Card amounting to a maximum of Rs. 400. • The Promotional Gift Card will be issued within 30 days from the end of the Offer which is 19th November, 2014. 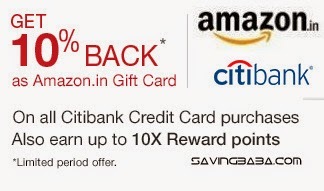 Get 10% Back as Amazon.in Gift Card on Citibank Credit Cards. No minimum purchase required. The maximum gift card amount permitted/allowed per Card (including all add-on-cards) during the Offer Period is Rs. 2,000/-. The offer is valid from 16-Oct-2014 – 25-Oct-2014. Gift your loved ones the joy of shopping this diwali. 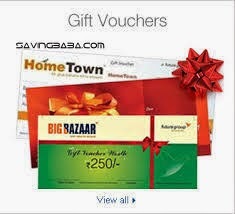 Buy them Gift cards of different offline / Online stores. 2. Shop on the Amazon Mobile App and get a Gift Card worth Rs 150 on a minimum purchase of Rs 1000.